Two questions listed in this imgur album. sfanTwo questions listed in this imgur album. The second picture is probably the 'default' font in your clientscheme, i'm not sure about the first one but there's a possibility that that's also the 'default' font. [quote=sfan]Two questions listed in this imgur album. Hi, back again with another question. How can I get the buttons to look like this. I have no idea whats making the team colored portion pink and have tried everything to fix it. 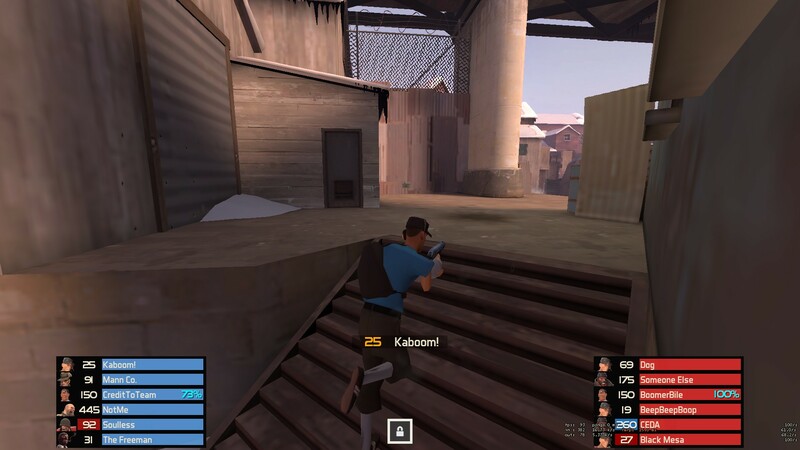 I'm 99% sure it's something wrong with my hud because using the stock hud fixes it and if I try copy and pasting a spectatortournament.res from another hud it moves all the elements around but the team colored bits stay pink. Your clientscheme_colors.res overrides the borders that control that coloring, and they do that with an image. But you're missing that image from your hud and what you're seeing is a missing texture. Either you need to change those, or make those images a thing. How would I go about transferring the cat animation on the 'connecting to server ' screen from QTCHud to another hud? just kidding that was easy. BrimstoneHow would I go about transferring the cat animation on the 'connecting to server ' screen from QTCHud to another hud? A simple question: how do I edit the loose cannon's charge meter? ninjajiroA simple question: how do I edit the loose cannon's charge meter? Hergan ninjajiroA simple question: how do I edit the loose cannon's charge meter? 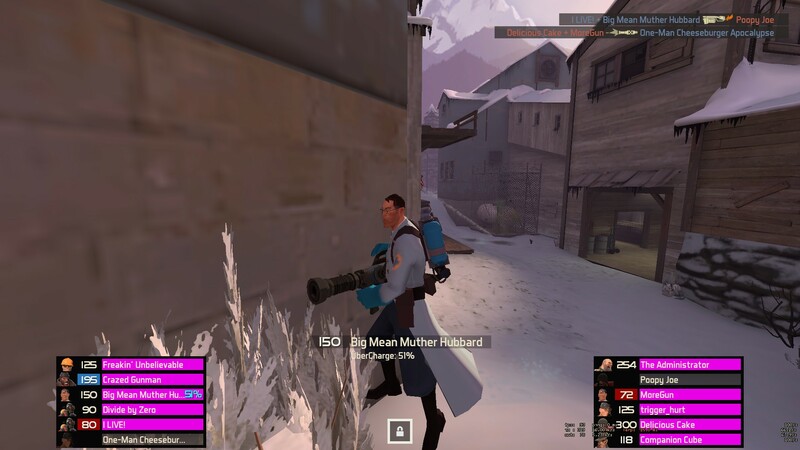 So can I move it with huddemomanpipes? then how can I move the shield charge meter so it doesn't overlap? Its the text colour I'd like to change not the colour of the grey box. Its KBNhud if that helps. yep thats what the problem was, thanks!! 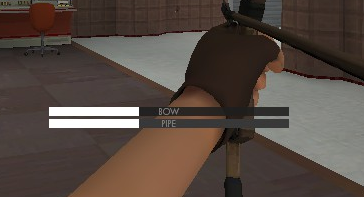 why does this 'pipe 'chargemeter appear when I use The Huntsman? It does the exact same thing the huntsman meter does. Also, how do I fix those white pixels in the upper and lower right corners? and my clientscheme.res and my hudlayout.res just in case. and my [url=http://pastebin.com/SRJcqcQW]clientscheme.res[/url] and my [url=http://pastebin.com/HVwehprT]hudlayout.res[/url] just in case. Quick question; what VTFEdit import settings are best so that my images don't look like crap when they're in game? LeRayonVertwhy does this 'pipe 'chargemeter appear when I use The Huntsman? It does the exact same thing the huntsman meter does. It's a bug that's been around for a long while. I don't know if any one else has reported it, but the dev team probably overlooked it because the stock meters overlap. I think you'll want to edit the size/position of the PanelCover* images - just PanelCoverRight, most likely. RawrsorQuick question; what VTFEdit import settings are best so that my images don't look like crap when they're in game? 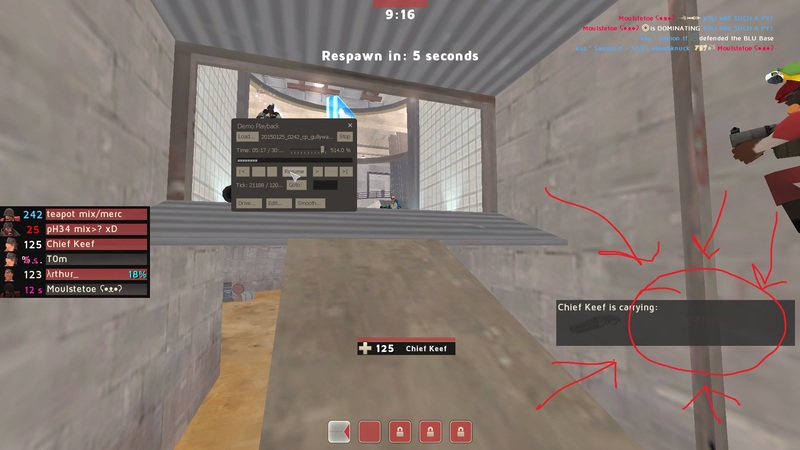 Check out my Hud Crosshairs Guide, ctrl+f for "VTFedit Settings:". Should explicitly cover everything. [quote=Rawrsor]Quick question; what VTFEdit import settings are best so that my images don't look like crap when they're in game? Check out my [url=http://huds.tf/forum/showthread.php?tid=23&pid=45#pid45]Hud Crosshairs Guide[/url], ctrl+f for "VTFedit Settings:". Should explicitly cover everything. AElai LeRayonVertwhy does this 'pipe 'chargemeter appear when I use The Huntsman? It does the exact same thing the huntsman meter does. Yeah you can either move the black bars further in or find TFFatLineBorderRedBG in clientscheme and change the drawcorner values to 0. Even after changing all the green colours in the clientscheme, its stil just green. 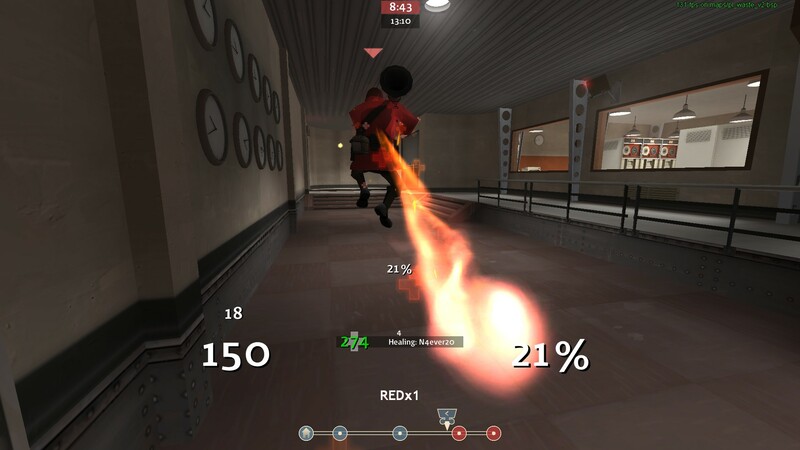 Check hudanimations_tf for event HudHealthBonusPulse and change color here. But the loser stats refuse to move, even if I delete its code in the res file it still shows up, it seems uneditable. FINAL EDIT: After looking at m0re hud which also has a fully custom arena winpanel, it seems there is a bug in Eve hud, I finally got the thing working.